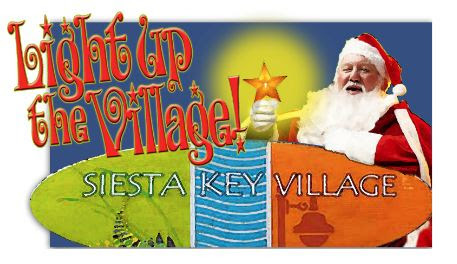 With 16 groups signed up already for the Siesta Key Village Association’s Light Up the Village parade on Nov. 28, plans are well under way for the annual holiday season kickoff, members of the organization said during their regular meeting on Nov. 3. “We takes whats we gets,” SKVA Treasurer Roz Hyman responded with another laugh. Among the ways in which business owners can help, she pointed out, are keeping their decorated shops open during the event, which will run from 6 to 9 p.m. on the Saturday after Thanksgiving; volunteering to assist with the necessary physical preparations; and providing financial assistance. “Or to hose them down to cool them off,” Siesta Key Association Michael Shay responded. Along with the parade, Light Up the Village will feature a visit by Santa Claus, who will greet the children attending the event and give each of them a gift bag donated by the Beach Bazaar, the SKVA website explains. Another highlight will be the lighting of a tall Christmas tree in the Village gazebo at the intersection of Ocean Boulevard and Canal Road. Free trolley transportation will be provided from Siesta Public Beach to the Village between 4:30 and 9:30 p.m. to alleviate parking problems for visitors, the website also points out. Anyone interested in becoming a sponsor may download a form, the SKVA website says. Sponsors will be recognized in all Light Up the Village signage and advertising, Hyland noted. 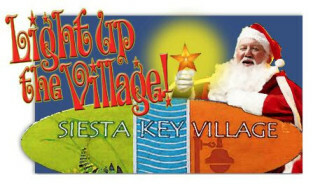 Entry forms for the parade are required; they may be found on www.siestakeyvillage.org. For more information, email mark@smith-architects.com. 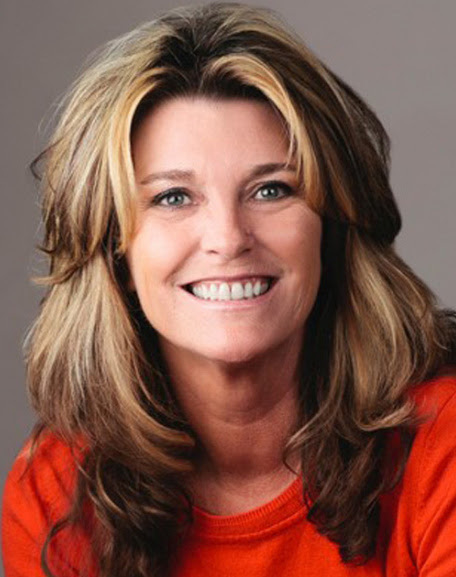 Anyone with questions may call Hyland at 685-2274 or email her at helenehyland@comcast.net. “Kay and I have decided ‘Siesta Key Village Welcomes You’” is better, Treasurer Hyman added. “I just think it’s more personal,” Kouvatsos said of the alternative. With a general consensus of concurrence, Kouvatsos planned to proceed with “Siesta Key Village Welcomes You” as the language on the banners. Russell Matthes, co-owner of the Daiquiri Deck restaurants, pointed out that the holiday banners are scheduled to go up on Nov. 23. When those are taken down, he said, the new Village banners will be installed on the Village light poles along Ocean Boulevard. Sgt. Jason Mruczek of the Sarasota County Sheriff’s Office told the SKVA members this week that the only recent crime trend he has identified on the island involves vehicle break-ins, mostly late at night and primarily east of the Village. In almost every case reported, he added, the vehicle was unlocked. 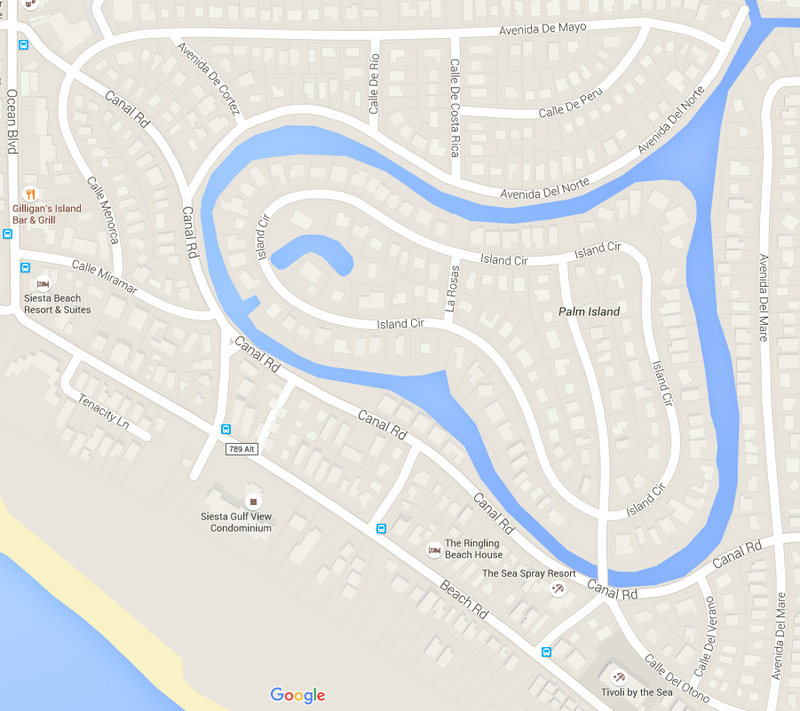 The largest number of the incidents were around Island Circle and along Calle Florida, he added. In a follow-up email to The Sarasota News Leader, Mruczek noted that 11 reports of vehicle break-ins had been made since Oct. 1. “We are also utilizing nighttime bike patrols to assist with investigating these,” he wrote in the email. “There are a few people of interest that we have in mind,” he told the SKVA members, so investigators are pursuing those leads. During the SKVA meeting, Vice President Smith announced the Siesta Key Chamber of Commerce has hired a new executive director, Ann Frescura, who will start work on Jan. 1, 2016. A Nov. 3 e-blast to Chamber members says Frescura has eight years of experience promoting business and tourism for the Springfield, Ill., historic central business district. 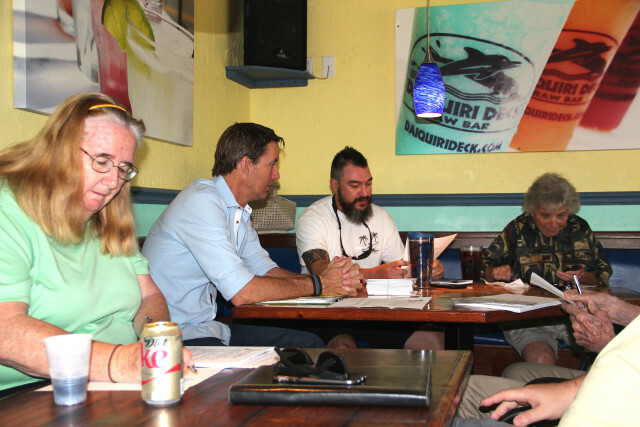 SKA President Shay — who also “wears the hat” of Siesta Key Village Maintenance Corp. manager for the SKVA — reported during the meeting that as a result of the new county fiscal year starting on Oct. 1, money had become available for several projects. For example, he continued, two new Village garbage cans were installed; the older ones they replaced were moved to areas where cans had gone missing. The biggest issue, he noted, had involved the lids of the garbage pails. “Apparently, we had kids that were using [the lids] as Frisbees,” he told the SKVA members. However, it is possible to anchor the lids to the cans, he pointed out, so county staff had made certain that was taken care of last month. Additionally, Shay said, new flags were raised at the Village gazebo. “We’re getting some things done,” he summed up the recent activities. Lisa L. Cece, business professional in the Sarasota County Transportation Department, told the members the county hired a new firm to handle irrigation for the Village landscaping. Her hopes are high, she added, that good service will flow as a result of that. Cece also told the SKVA members that county crews have repaired the curbing at the intersection of Ocean Boulevard and Calle Miramar, eliminating what she called a “trip hazard.” Further, she said, a crew had poured new concrete at the site of the stormwater drain at the intersection of Beach Road and Ocean Boulevard. In response to a question from Shay, she replied that the crew did not clean out the storm drain itself. The Daiquiri Deck on St. Armands Circle will host the 15th annual fundraiser for Sarasota in Defense of Animals on Thursday, Nov. 12, from 6:30 to 10 p.m., Matthes announced during the SKVA meeting. 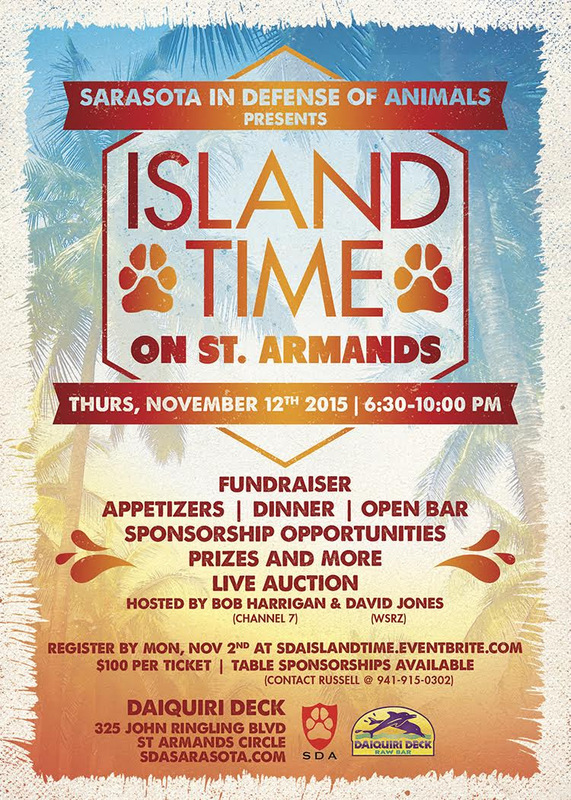 The theme will be Island Time on St. Armands. 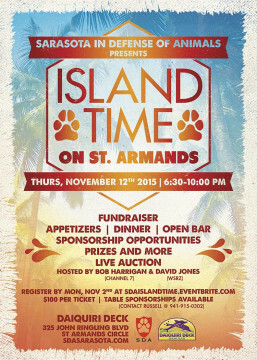 The event will feature appetizers, dinner, an open bar, prizes and a live auction. In the past, he noted, it has raised between $50,000 and $75,000 to support the nonprofit organization in Sarasota County whose mission includes exposing animal abuse and exploitation and providing lifetime care for about 300 animals. The Daiquiri Deck is located at 325 John Ringling Blvd. on St. Armands Circle.